For some time I have been thinking of placing some French railway memorabilia around my layout. 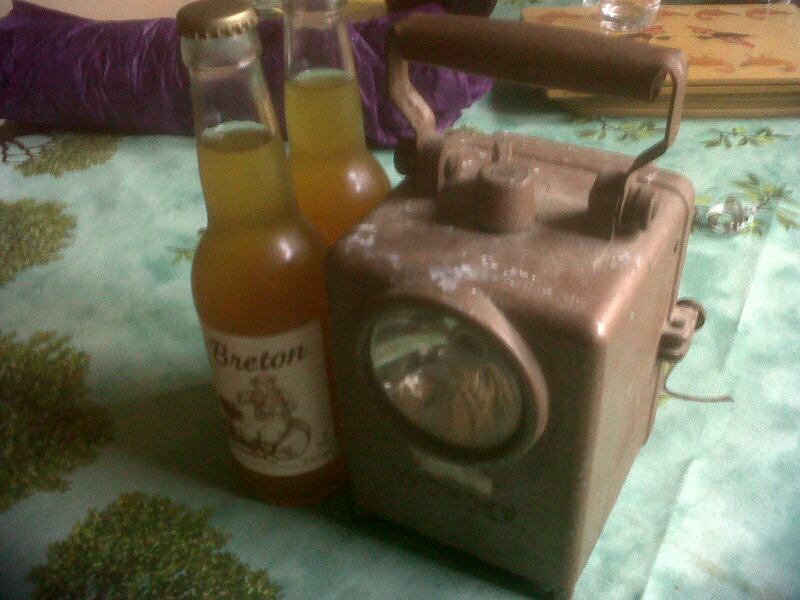 So, it was a great pleasure to receive as a 60th birthday present an actual French railway worker's lamp. And, two bottles of Breton Cidre. 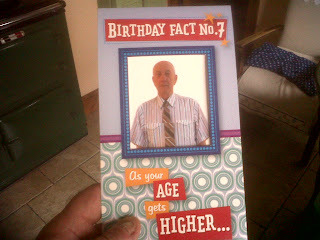 Also, an amusing card which when opened caused this chap's waistband to rise. 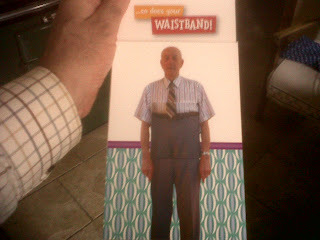 Very apt, actually, because my wife maintains that the high waistband is what you see when the model railway enthusiast takes off his anorak. Trying to cut back on using iTunes but as a birthday present to myself, I downloaded the following (for me) nostalgic tracks. Among them a few by the Bee Gees' youngest brother, Andy Gibb; now deceased, of course. 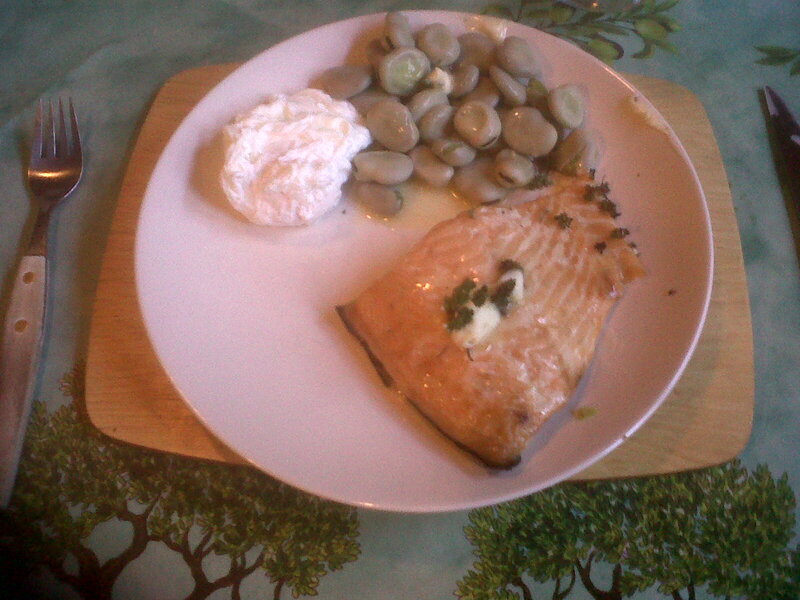 Wild sea salmon, poached egg and broad beans. Hope you had a special meal to photo tonight!